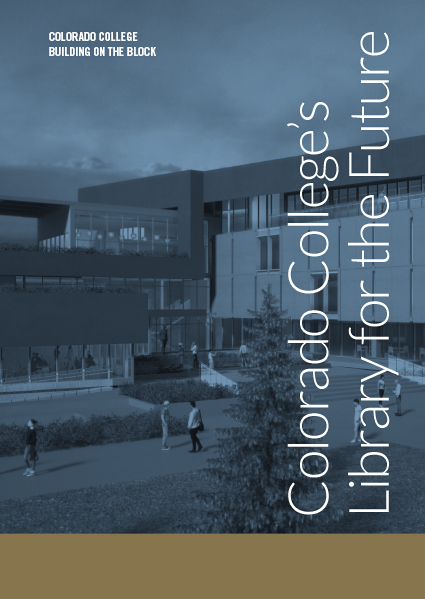 In June 2015, the Helen K. and Arthur E. Johnson Foundation committed $2 million to Colorado College in support of the expansion and renovation of Tutt Library. This ambitious project will provide a world-class academic center designed around the intense study and collaboration derived from the Block Plan. The Johnson Foundation gift makes possible a new Geographic Information Systems (GIS) Laboratory, a key part of our improved capability in mapping, 3D modeling, image processing, and geological survey. This generous gift was, perhaps, not a complete surprise. Indeed, Arthur and Helen, the state of Colorado, and Colorado College share a long and rich history. Arthur Johnson was born in Colorado Springs in 1892 to Swedish immigrants only 18 years after Colorado College’s founding and just 16 years after Colorado became a state. His first job, with the Midwest Refining Company, was in the oil fields of Wyoming. At age 21, Arthur returned to his hometown, spending a short time as a Colorado College student before the call of industry drew him back. Then, like so many of his generation, came service in the Great War. Arthur met and married Helen Kenney in 1918 before leaving for France, where he served on the front lines with the U.S. Army’s 89th Division before coming home in 1919. After the war, Arthur returned to Midwest Oil, advancing rapidly within the company before acquiring a controlling interest in Argo Oil and several associated companies in 1932, earning him a reputation as “the best example of a Colorado oilman in history.” As Arthur and Helen grew in prominence, they gave back, both serving on many boards. The couple’s legacy of hard work and generosity has defined the Johnson family for generations. Colorado College, an institution that came of age alongside the family, has been a consistent beneficiary. 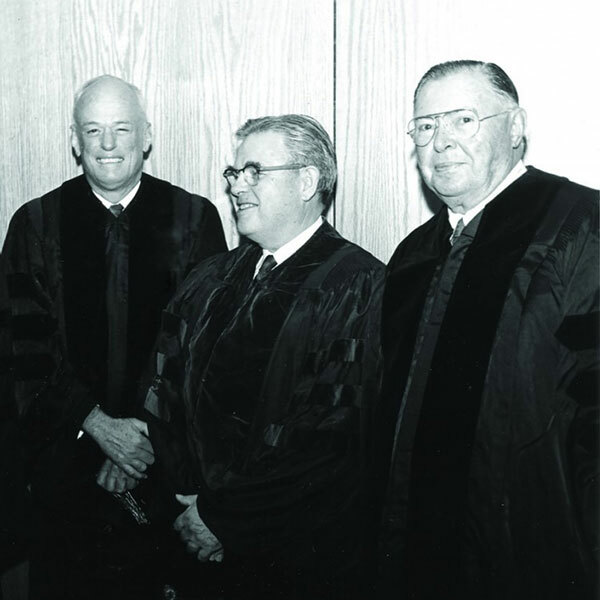 In 1968, CC bestowed upon Arthur the honorary degree of Doctor of Science, completing his journey at the college from more than 50 years earlier. “During my life I have thought of various things that I would like to have happen to me but receiving a doctor’s degree from a college was a great surprise and pleasure, especially from Colorado College,” Arthur wrote in a letter to then-President Lloyd Worner ’42 and Chairman of the Board of Trustees Russell Tutt. By the time CC bestowed the honorary degree, the Johnson Foundation was 20 years old and had an established record of supporting organizations that relieved suffering, met basic human needs, promoted self-sufficiency, and enriched the lives of Coloradans. Over the years, the college, the foundation, and the Johnson family have benefitted from this shared commitment to education. Notably, in 1992, the foundation established the Johnson Scholars Program which has provided 19 outstanding Colorado students with scholarships to Colorado College. The recent gift to support the expanded library is the next step in that journey together. The Johnson Foundation has remained a family affair. Helen and Arthur’s daughter, Barbara J. Hartley, assumed leadership after her parents passed away, serving as chairman of the board for 27 years until her daughter, Lynn, took the reins. Altogether, the foundation made more than $230 million in grants in the state of Colorado. The organization is undergoing a major transition, making several extraordinary “legacy grants” before continuing the philanthropic work through two newly formed foundations. These foundations, headed by the next generation of the Johnson family, will begin making grants next year. “I have faith that my daughters and their foundations will make a difference in Colorado and around the world, just like my grandparents did,” said Campion.